For more than 10 years, SG Transmissions has been your local full service expert transmission shop and auto repair center, located in Ogden, Utah. We perform oil changes, tune-ups and all basic types of repair, as well as specializing in transmission services and rebuilds. 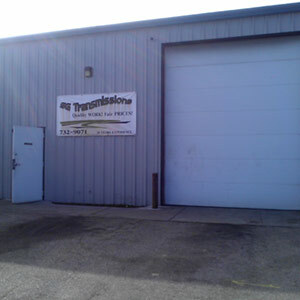 When it comes to auto repair in Ogden, UT, SG Transmissions has got you covered. We service and repair all types of cars and trucks, whether automatic or manual, gas powered or diesel. We offer oil change services, auto tune-ups, brake repair, auto electrical services, axle replacement, diesel engine rebuilding and more. In addition, we are also your local full service transmission shop in Ogden, UT, specializing in transmission service and repair and full transmission rebuilds. Our shop even carries already rebuilt transmissions for sale for your convenience. We have an A+ rating with the BBB, and are proud members of the National Federation of Independent Business. We are certified by the ASE and the Automotive Transmission Rebuilders Association. We specialize in several areas of repair for your convenience. Mention this add and receive $10 off regularly scheduled maintenanceor $100 off of a transmission replacement or major repairs! "I had my 98 Dodge Durango transmission rebuild with S&G Transmission a couple of years ago and it is still running strong today. Before I ..."